Here’s to the grand experiment. I’m a dork. I admit it. My wife HAPPILY admits it. But I’m a well adjusted dork. I was an athlete in high-school. I had girlfriends in college. I’ve got a great job, a wife who’s WAY above my station, and two absolutely amazing, (seemingly) well adjusted kids — and to my thinking that’s the TRUE measure of a well adjusted dork dad. Yes, I kept all of my Star Wars action figures (both the original line from the 70’s and 80’s AND the POTF2 stuff I collected after college) through the years. Yes, I look forward to Comicon every year. Yes, I will wait in line on opening night for a bloated, over-produced, under-acted and written Hollywood Summer blockbuster. But there is a line. Crossing that line means moving from good dork, to bad dork. We all have to decide where that line is for ourselves. Nowhere is that destinction more important than in raising our kids. I want my kids to be “normal”. But I also want them to be “exceptional”. To me, that means educating them in all the fantastic “dorky” stuff my wife rolls her eyes at. To do that without damaging them is the real trick. 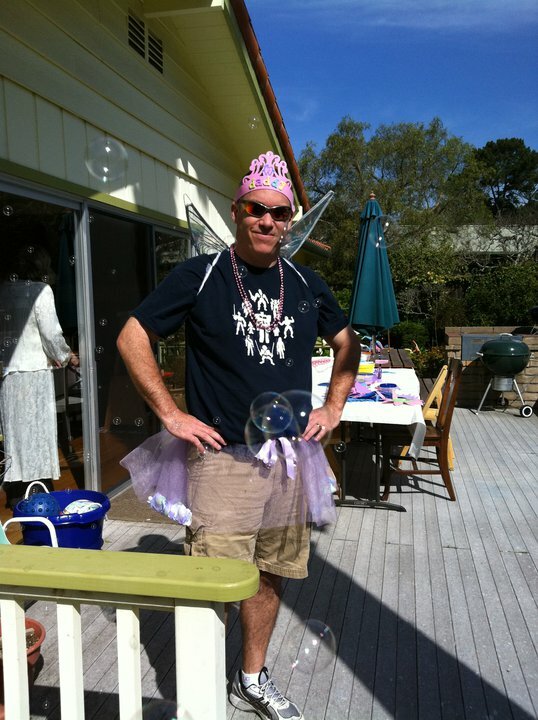 I’ll be the first guy to dress up in a fairy princess outfit for my daughter’s princess-themed 5th birthday party. But I damn well am also going to teach her how to throw overhand and hit a softball. If you are a Dork Dad and you find your way to this blog please, chime in. Awesome idea! Glad to see your dork-ness in the form of blogging! I approve! Can’t wait to see what adventures you and the kiddies have! YES, you most certainly were. DorkUnc says, (with a giggle) ” What a lucky Princess ” Just sayin. I’d snark this, but it’s too nice. Sweet, even. Go get ’em, dad! So Dad of Dork Dad, Papa of Dorks- in- Making, says: What about Carousel, Oklahoma, South Pacific and West Side Story ?” Not dorky enough ? I think that every good Dad has a little dork in him!